Earlier this year Google sent out a notifications via email and Webmaster Tools warning sites that are not mobile-friendly that it will cause issues for them if they want to rank well for smartphone users. These notifications are being sent via Google Webmaster Tools and via email. It is also being sent to sites that are simply not mobile friendly at all and typically, the webmasters know their sites are not mobile friendly. What we have here is Google reminding these webmasters their sites are not mobile-friendly and issuing a warning that the pages won’t rank well in mobile search. There are clear signs that a new mobile ranking algorithm is about to launch at Google. Google told us they are experimenting with it since November. They also launched a mobile friendly testing tool, mobile usability reports in Google Webmaster Tools, and mobile-friendly labels in the search results. This seems to go beyond the broken mobile site penalty Google had in 2013. It also seems to go beyond having problems with your mobile-friendly site – where it is targeting this communication to sites that are knowingly not mobile-friendly. Typically, these are all signs of something big to come on the algorithm side. But we have not been able to get a confirmation from Google on this as of yet. So you want to be seen and heard, you want your website to be found and you want to make an impact out there? Of course you do, that’s why you’re writing the content in the first place! Your content is the first and most important component of building a thriving online audience; outstanding content is crucial to attracting visitors and can play a massive part in gaining high search engine rankings. Creating that outstanding content is not as difficult as you might believe, you simply need to think about what your visitors want and what search engines need. If you don’t believe in your content and don’t find it interesting then your readers won’t either. Unique quality content has always been necessary, but as a few of you can probably testify after the recent Google changes, it’s now more important than ever. Make your content your own by injecting your own thoughts and unique personality into your articles. Google places greater value on unique content and your audience will always prefer an article written with passion and personality, so let your thoughts and uniqueness shine through! Content is important for search engines and the more good content you provide the better. However, the attention span of most readers is pretty short, so make any content interesting, focused and attention grabbing. Focused content will also naturally include your keywords therefore having the added advantage of satisfying the search engines, leading to that sought-after high ranking without reducing the quality of the content. It’s not enough to create real value, your posts must also be easy to scan. With so much information and competition online you need to help readers find what they are looking for quickly; use proper headings, keep paragraphs short and add bullet lists to organize information and to keep your posts targeted. Not only do you want people to read your content but you also need them to share it. Writing great content that is worth sharing is a good start but you also need to make it easy to share, so ensure the social media share buttons are in an obvious place. Content shared through links and tweets will give you a bigger audience, so go ahead and self promote a little! Create new content on a regular basis. Sites need to grow rather than remaining static, so keep writing. Stuck for ideas? People love ‘top tips’, ‘how to’ articles and ‘step-by-step guides’, and I think I’ve already mentioned that search engines love content! If it’s useful and will benefit your audience then link to it naturally within your content. Don’t over-link your keywords though, as this can be very annoying to your readers. Relevant cross-linking throughout your blog posts will have a positive effect on your Search Engine rank. Always remember that quality matters… the quality of your content is absolutely imperative to both your readers and your Search Engine ranking. What do you feel is important when it comes to writing content? I’d love to hear your thoughts and what has worked for you. This is an example of Google’s search results that show the ‘Mobile-friendly‘ label. If you run a website then this news is very important for you and your business. Google has confirmed that it is now going to take into account whether or not a website is mobile-friendly when indexing for its search engine. This means that websites that are not mobile-friendly will not be ranked higher than those who are. This change comes into effect starting April 2015 so site owners have over a month to make the required changes to ensure Google doesn’t penalize their website for not being mobile-friendly. Look at our clients list we have developed tons of mobile friendly websites since the introduction of responsive design. Our team can make your existing website mobile responsive and Google compliant. If you would like Google to rank your website high call us today on +44 207 193 0171 to see how we can help. 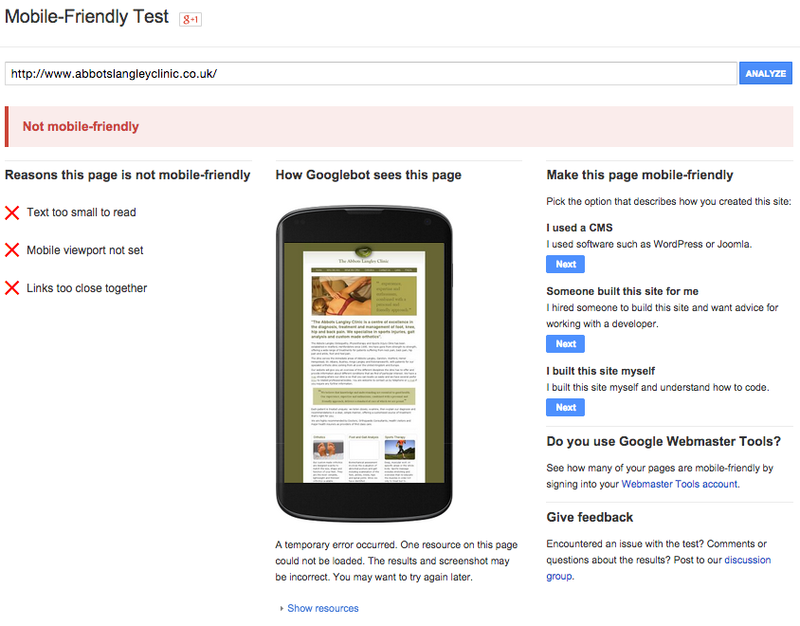 Google have recently launched their own ‘Mobile Friendly‘ testing tool. Here is an example of a website that was not mobile friendly. Once we had made this website mobile friendly we are now seeing a positive ‘Awesome! This page is mobile-friendly’ on the mobile testing tool. 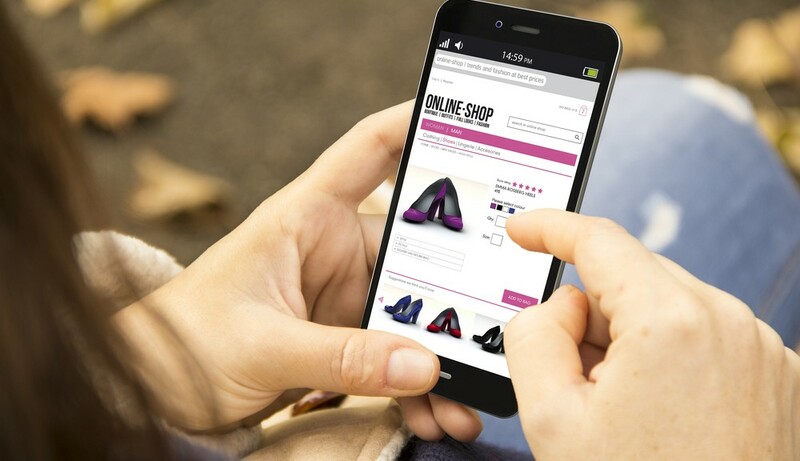 Discover what the advantages of making your website mobile friendly. 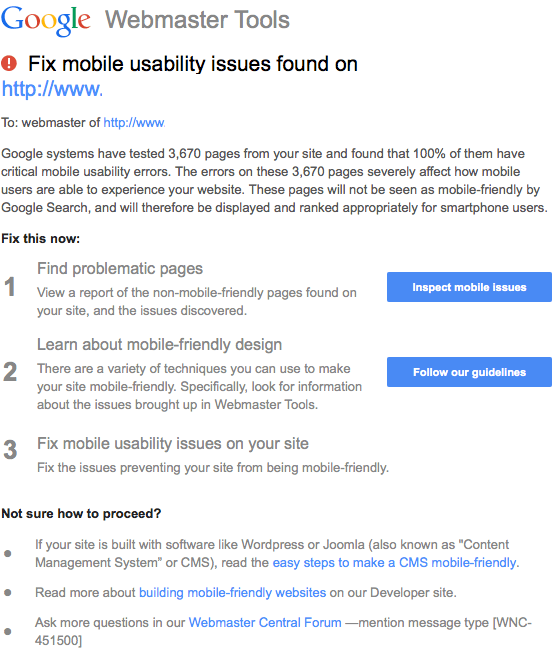 Google sends a message to webmasters to that they need to go mobile friendly. Google has made a large mobile announcement today, showing new efforts to encourage webmasters to ensure their web sites are mobile-friendly. Google has officially gone live with the mobile friendly label today, they launched a brand-new mobile testing tool and told us they are experimenting with new mobile-friendly ranking factors in their search ranking algorithm. Google said they are showing this to reduce mobile-searcher frustration and encourage webmasters to build a better mobile experience for their users. To help webmasters learn if their sites/pages qualify for the mobile label and what they can do to improve the mobile-friendly design of their site, Google has launched a mobile friendly testing tool. The tool is available at google.com/webmasters/tools/mobile-friendly and it gives you a pass/fail score followed by additional advice depending on the results of the web page. For one thing, Google is clearly sending a message to webmasters that they want you to build mobile-friendly web sites. Is your business social ?!? Our team of social media experts have been looking at how social media can improve the growth of your business…. Twitter is a fantastic resource. Initially it was used by the web community, spreading useful links amongst the community, and it importantly still is, but it has caught on to the whole world. Now celebrities, companies, and everyday people are using it to keep up-to-date with what’s going on. By integrating twitter with your site, you allow people too much more easily follow what YOU are doing, and what is happening on your site. You are of course going to want to encourage user to follow you, and what better way to do so than to make use of a fantastic button to attract the reader’s eye to your twitter page. Here is a fantastic roundup of over 100 twitter icons, but there are plenty out there, so if you don’t find something you like, Google is the place to start looking! Facebook has grown massively in recent years. Nearly every teen and younger adult has an account and regularly checks it, sometimes several times a day. This offers a fantastic market of people to spread your site amongst, and with Facebook’s continuing growth, and branching out into all sorts of markets such as gaming, search and advertisement, it is somewhere you want to be. YouTube continues to be the most valuable video marketing and advertising tool for businesses of all sizes. By far the web’s largest and most popular online video archive, YouTube offers fantastic opportunities for a business to show off its expertise, share knowledge, market products and connect with customers, colleagues and prospects.